A seven-year-old Canadian boy’s family will stay together — for now. 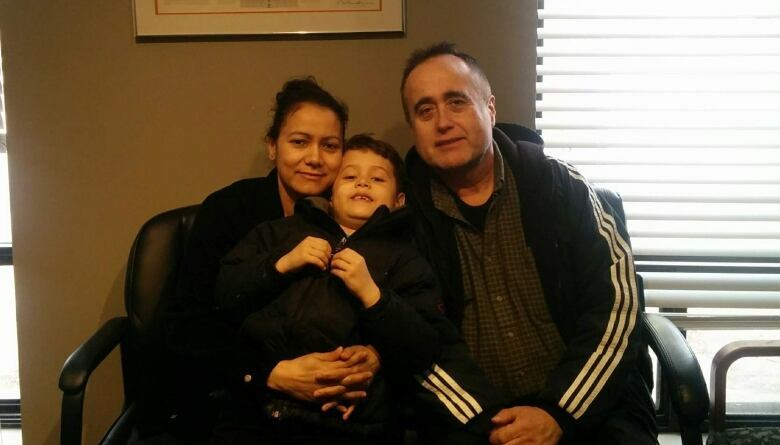 A federal judge on Wednesday stayed the deportation order against Toronto’s Rosalba Solares, 42, and her husband Jorge Orozco, 59, until their application for permanent residence on humanitarian and compassionate grounds is decided. The couple is facing deportation to two separate countries — Solares to her native Guatemala, and Orcozo to his home country of Colombia. Their Canadian-born son Julian was slated to go with his mother to Guatemala, because he has no other family in Canada. The family’s lawyers and doctors argued the deportation would harm the boy’s mental and physical health, and the judge agreed. “I am satisfied that Julian would suffer irreparable harm if he and his parents were removed from Canada,” Justice James W. O’Reilly wrote in his ruling. Immigration, Refugees and Citizenship Canada referred questions about the case to the Canada Border Services Agency, which has not yet responded to a request for comment. In an interview with As It Happens last month, Solares said that if she and her son are forced to go to Guatemala, they will be hunted down and killed by her abusive ex-boyfriend, a member of the MS-13 gang who she says threatened to kill her if she ever returns. “As soon as he found me and he knows that I have a son, he’s going to be there. He’s going to be focused on my son,” she said. The government argued that the couple was not eligible to have their deportation order halted, because they have repeatedly violated Canada’s immigration laws, the judge’s order says. They had their asylum claims rejected in 2011, failed to appear for their scheduled removal in 2012, and evaded immigration authorities until 2018, when Orozco was involved in a car crash. Normally, that would be enough to deny their request for a stay, O’Reilly wrote. “However, that is not true in this case, where the court’s primary concern and overriding duty is to ensure that the best interests of a Canadian-born child are adequately considered,” he wrote. Written by Sheena Goodyear with files from Kevin Robertson. Does Trudeau's byelection record point to a win in 2019? It's complicated.